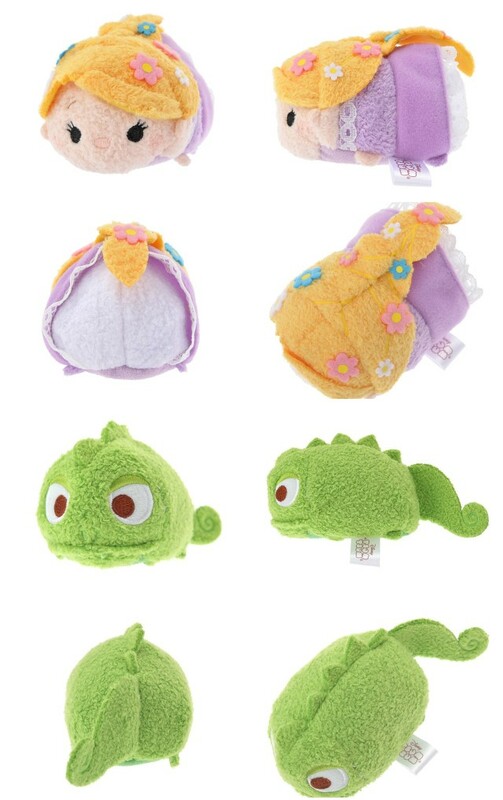 Set to release across Disney Stores in Japan for the first time are Tangled tsum tsums and Rapunzel and Flynn are sporting new looks. While Tangled tsums have already been released in the US and the UK early spring, and almost six months later they are finally coming to Japan. 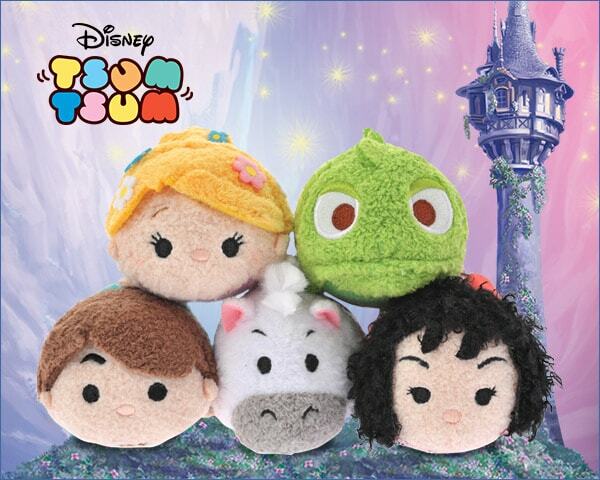 There are a total of 5 tsums in Rapunzel, Flynn, Pascal, Maximus, and Mother Gothel. The ones that look most different to their US/UK counterparts are the main characters themselves. The biggest difference among the tsums is the princess Rapunzel in her beautiful dress. Compared to the Western tsum, Rapunzel wears a lighter purple dress with a colour scheme and details closer to that of the movie. The flowers in her hair are not embroided but attached, similar to the ones found decorating Honey Bee Pooh & Friends (one can’t help but think if the Hunny Day tsums were a trial run for Punzie). 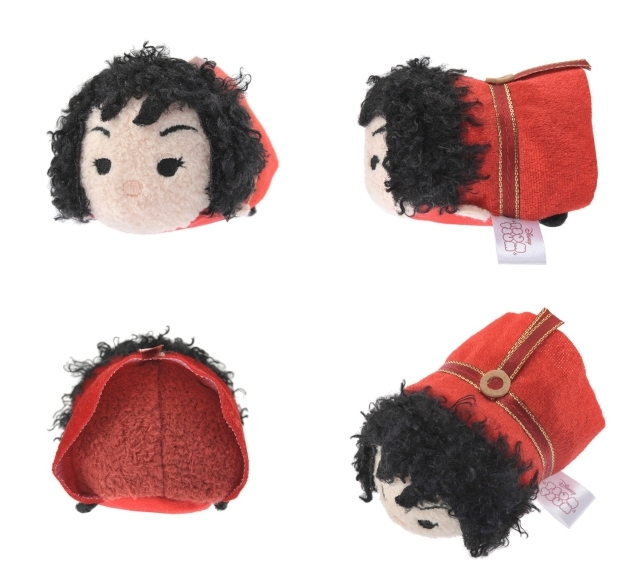 The next vastly different tsum is Flynn who has a different colour scheme than the Western version. In the US/UK version his shirt is more blue, and in the Japanese version it is more of a teal colour. Unlike the Western version, he sports a satchel across his body. 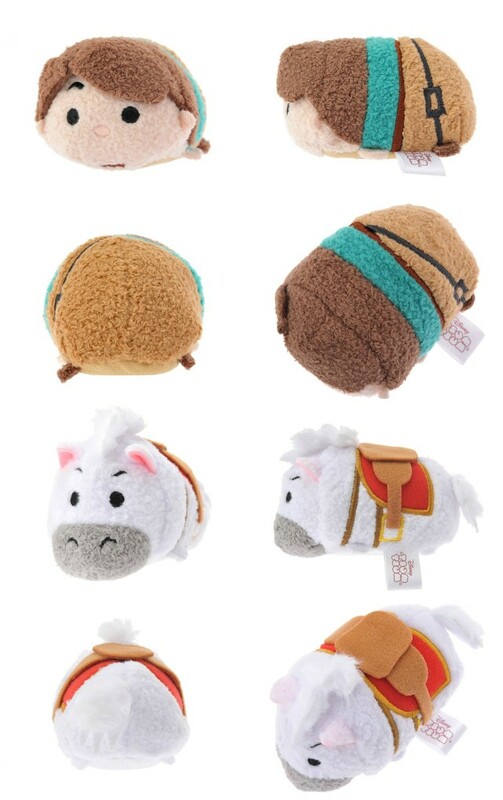 The other tsums more or less look the same as the Western versions minus a few details. This is seen most visibly in the saddle across Maximus’s back and Mother Gothel’s sash across her dress.